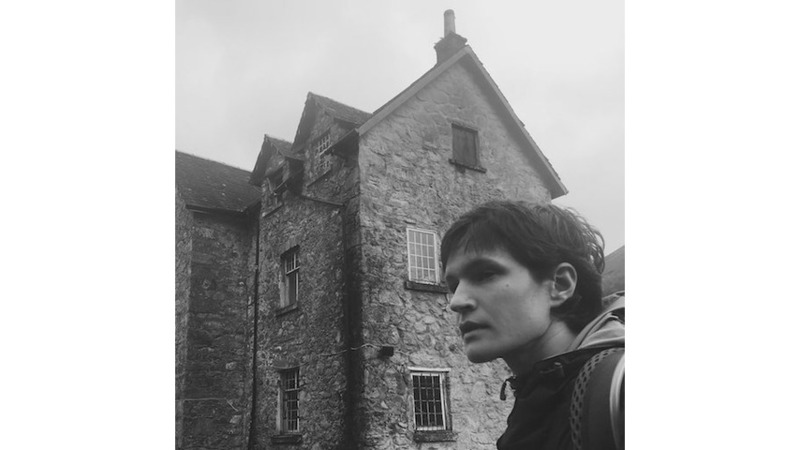 Big Thief singer Adrianne Lenker excels by tapping into the core of the human soul in the most tender, gentle and vivid way possible and her new solo LP, absysskiss, is no exception. Through just vocals, acoustic guitar and intermittent keyboards, Lenker conjures up something magical and weighty with so few elements. The 10 songs that make up abysskiss toggle from intoxicating love to somber grief and it spans many feelings in between. Lenker uses nature metaphors to tackle heavy subject matters like mortality, love, birth, friendship and youth, but she doesn’t hide behind these metaphors. She uses them to boil down complex topics into something familiar, immediate and sentimental. On the title track, Lenker gracefully sings, “Wilderness, vast abyss / Will we ever kiss” and on “What Can You Say,” she sings with such poignancy, “Wave to the winding river / It’s a view of you.” There’s also a recurring melancholy playfulness to this record as it references youthful purity and innocence through imagery like blue and red horses, puppies, wagons, dragons, angels and cradles. Opening with the punishingly sad “Terminal Paradise,” Lenker captures the circle of life with striking details as she sings of letting someone go (“See my death become a trail / And the trail leads to a flower / I will blossom in your sail / Every dreamed and waking hour”). On the subsequent track, “From,” Lenker realigns her focus from death to birth with a whispered chorus and verses that evoke fleeting moments of elation and wonder (“Puppy on the floor / Baby’s coming soon / Wonder if she’ll know / Where she’s come from”). The album’s two singles, “Cradle” and “Symbol,” are highlights with the candid, understated beauty of the former and the haunting, hypnotic mysticism of the latter. The first two verses of “Womb” are one of the most touching moments on the record with its affecting, pretty melodies and picturesque lyrics, though one of its lines feels below Lenker’s otherworldly lyrical capacity (“Mine would never bind you with a diamond or a word”). Many of these songs need several listens to fully seep in, but once you become well-acquainted with each track, it feels as if Lenker has wrapped her arms around you in a warm, motherly embrace. She also takes on the literal role of a mother in the final track, “10 Miles.” The song chronicles the good old days of a close-knit family who live on a farm and it delves into the wife and husband’s deep affection for each other. The middle of the song recounts the family’s precious memories while the opening and closing detail, in heartbreaking terms, the mother’s dying last moments in the arms of her husband (“To die in your arms / Words forming again”). Fans of Big Thief should latch on to this record as Lenker’s evocative storytelling, oneness with nature, unique vocal tones and her ability to arouse grandeur from the mundane are all apparent on this record. Lenker has proved herself to be one of the most captivating songwriters, not just in indie-folk, but of the present day. Providing newfound comfort and warm familiarity, abysskiss is a record that will quickly find its way into your heart and slowly caress your soul.